It’s fight day. The big one. The heavyweight title fight between Anthony Joshua and Alexander Povetkin live from Wembley stadium later on. If you are in the US and are looking for a free Anthony Joshua vs Povetkin stream – you in the right place my friend. Today marks the first fight on DAZN USA, a streaming app that has been launched off the back of Eddie Hearn in boxing and his stable of fighters, Bellator MMA, the World Boxing Super Series and also other content to be added soon. Today is the big one in terms of kicking off the service and heavyweight champion Anthony Joshua will no doubt look to put on a show. He’ll need to too, knowing that a potential shot against WBC heavyweight champion Deontay Wilder is on the line for next April back at Wembley again. That’s if Wilder beats Tyson Fury on December 1st. The date was officially confirmed earlier on and if Fury were to beat Wilder a rematch would likely happen between the two meaning the Wilder or Fury fight for Joshua might not be possible until all the way near the end of 2019. All he can do is focus on the task ahead of him of course and it’s a considerable one in the form of Alexander Povetkin. Povetkin is not to be underestimated and is more than capable of beating Joshua tonight in London, make no mistake about it. Not only can you get the Anthony Joshua vs Povetkin stream free today if you are in the US, by signing up at the below link with DAZN you will in fact get an incredible 30 days of boxing content-free of charge. A month that includes not just tonight’s action but a whole list of big fights coming up. 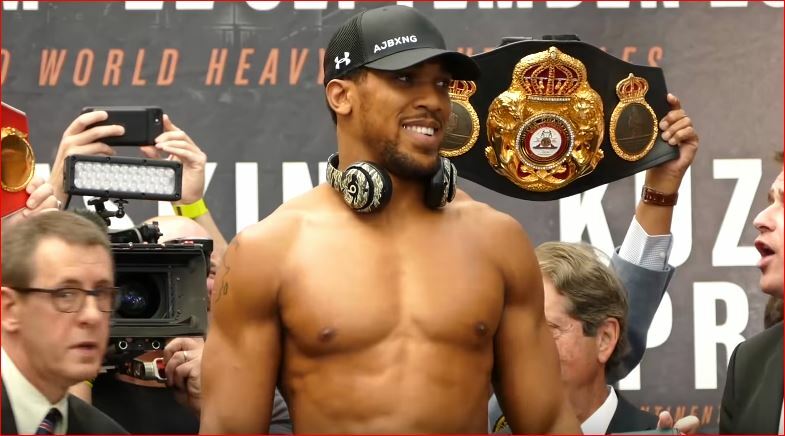 Signup for a free Anthony Joshua vs Povetkin stream in tonight’s boxing.